HTC U11 launched in the Philippines. HTC is back in the Philippines. 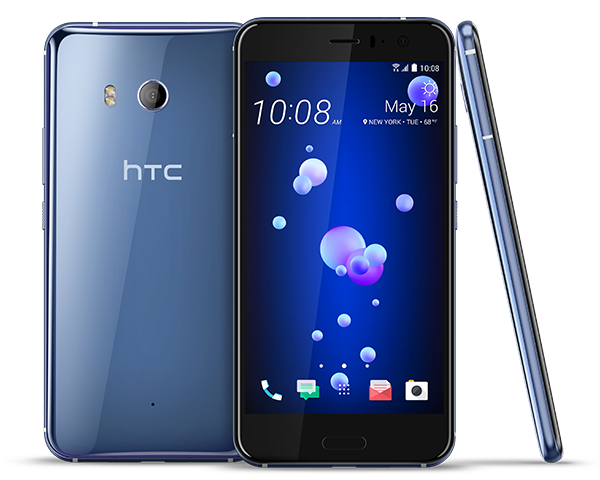 The HTC U11 leads the pack of the company’s portfolio with its top-of-the-line features and cutting-edge smartphone innovations like the Edge Sensor and 3D Audio recording. One of its striking physical features is the two-tone metallic construction which shimmers when seen in different angles. Likewise, it comes with a well-built body; and a seamless infusion of the pressure-sensitive edge sensor which you can set to invoke commands like pulling up the camera or launch your favorite app. As much as we love the design, we could also tell that it’s very welcoming to fingerprints, especially the back panel. When it comes to the display, the HTC U11 sports a 5.5-inch Super LCD5 QHD panel with 1440 x 2560 resolution. It still comes with the same form factor in contrast with the new releases of Samsung and LG that comes with longer screens. The bezels are still there; and the boxy feel of the older HTC flagships appears to be seen. Under the hood, the HTC U11 is powered by the most powerful Qualcomm chipset, the Snapdragon 835. It runs in the same chipset as the OnePlus 5 and the US version of Galaxy S8/S8+. The processor is coupled with Adreno 540 GPU and up to 6GB of RAM. You’ll also have a choice between the 64GB and 128GB configurations; and it’s also a breath of fresh air to know that you can expand the memory up to 256GB via microSD card. The HTC U11 camera is an improvement to its older brethren. It packs 12MP single-lens sensor with strong HDR capabilities. It also uses the Dual Pixel tech which complements the f/1.7 aperture. The front camera, on the other hand, is a 16MP affair with the same f/1.7 aperture. Other noteworthy features include the 3000 mAh battery with Boost+ technology, USB 3.1 Type C, Hi-Res DAC, Fingerprint sensor and Android 7.1 Nougat with HTC Sense UI on top. The HTC U11 comes in Brilliant Black, Sapphire Blue, Amazing Silver at Php 36,900 for 6GB/128GB variant in Lazada.